When I tell people I developed Aroma Mists for dogs & their people, the Scent Project, the polite people restrain themselves from rolling their eyes, the truly ‘I have no boundaries for body language folks’ roll their eyes with gusto! And to be fair, I kind of get it. Not all people, but for sure many, have a weird association when they hear the word aromatherapy. It isn’t hard to conjure a new age image. But I believe times have truly changed. I would like to believe we are more accepting of the plants around us and the uses they can provide for well being. But why use aroma therapy with dogs? Is it even effective? Aroma/Scent therapy is the therapeutic use of plant-derived, 100% aromatic essential oils to promote psychological well-being. It is used as part of an integrative approach, adding that extra layer of assist. Beneficial to both humans and dogs, aromatherapy elicits a more positive emotional response, whether it’s to lift the mood, add energy, or to relax and take a well needed deep breath. For dogs, olfaction, or the process of smelling, is the dog’s primary sense. They’re considered macrosmatic animals, which means their nose knows. They can detect cluster scents, scents at a distance (up to seven miles), and detect a single scent over a variable contaminated surface, during all weather conditions I might add. For example, a human has 5 million receptors to detect scent, a dog has 220 million or more. Using scent to create emotional balance makes good sense. For humans, we are considered microsmatic in the smelling world. This means that we need to work harder to gather information with our nose. There is a reason we use dogs for scent detection work! Scent needs to be pure and obvious, and most of the time pleasing to the nose in order for it to create a positive emotional response. Plant based oils tend to be pleasing and therapeutic for humans. Let’s take a quick step back in time so this information I present has a bit more depth. Aroma Therapy is a Greek compound meaning – Fragrance (aroma) Treatment (therapy). I will be using Aroma, Scent, and/or Essential Oil Therapy interchangeably. Aroma therapy is an art and a science that uses the scent and essence of varied plants in liquid or vapor form as an inhalant, or an application to treat a variety of physical and mental conditions. Aroma Therapy in history was used both medicinally and simply to make things smell good (natural perfumery). The term ‘Aroma Therapy’ was not used until the 1920’s, but recorded history notes the use of Frankincense and Myrrh for healing, cosmetics and embalming in 4500 BC. In 400 BC Hypocrites (known as the father of medicine) studied the benefits and effects of hundreds of scented plants and herbs. His belief was “good health can be promoted with aromatic baths and oils.” It was most likely the Romans that developed the technique for steam distillation and extraction of aromatic floral waters, but the Ancient Greeks, Egyptians and Persians also used these essential oils and aromatic plants during daily living. Notable -Egypt most likely developed the first culture with a fragrance industry. Notable – Cleopatra use to have her sails soaked in rose oil, so when cruising down the river she could attract suitors. Notable – French Chemist Rene Maurice gate Fosse accidentally discovered that lavender oil relieved pain after a lab burn to his hands. Kristen Leigh Bell wrote a lovely book ‘Holistic Aromatherapy for Animals’ and has been promoting the use of plant derived essential oils for dogs and cats for over 10 years. 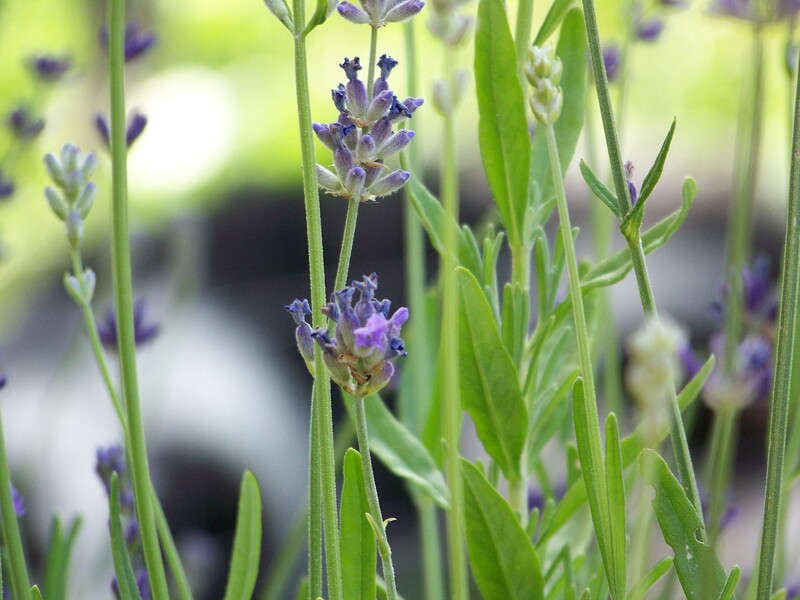 The AHVMA has also published a few articles in their journal on the beneficial use of lavendula while working through behavior modification programs. Jeanne Rose – The History & Use of Essential Oils – This amazing duo includes a PowerPoint presentation combined with a 37-page lecture book with both history and background of common herbs. Why use Aroma/Scent Therapy? Aroma Therapy is used to influence and/or modify the mind, body and spirit. The use of nature’s most concentrated substance is excellent to calm dogs who may be aging, fearful, agitated, stressed, uncertain, too joyful, a puppy, or hyperactive. Unlike herbal calming tablets, which take time to digest, aromatherapy essential oils are inhaled and quickly begin their work. Scent therapy, or essential oil therapy is taking plant derived essential oils that promote emotional wellbeing, and pairing them with a pleasant event. Intention is important, as is an integrative approach. Odors affect our emotional states and moods by what is known as associative learning, the process by which one event is linked to another because of a past experience. Burning rubber smell while driving, how does that make you feel? Why? The smell of the ocean, the scent of blooming roses? How do these scents make you feel? At a conference in 2006, Dr. Randy Kidd was one of the speakers. He was the first Naturopathic veterinarian in the US. He had some interesting things to say about plants, oils, and dogs. “If you watch your dogs at home, or when you’re hiking and taking a break, (and assuming you don’t use herbicides/pesticides in the area) watch to see where they lay down and then take note of the plants around them. You will almost always find they are laying next to, or by a plant that has properties for calming. I have yet to see a dog choose to lay next to a hot pepper plant”! What are essential oils? It is very difficult to describe an essential oil because they are not visible when in the plant. Only nature can produce whole essential oils. They are tiny droplets contained in glands, glandular hairs, sac or veins of different plant parts – root, flower, fruit, leaf. They are the ‘essence’ of that particular plant form and responsible for giving the botanical its unique scent and ‘fingerprint’. There are no synthetic or partial synthetic components in plant derived oils. PLEASE NOTE – if a ‘spa’ product has ingredients beyond a plant name, it is not a true essential oil, it is a perfume with no therapeutic qualities. Oils are extracted in a variety of ways; cold expeller pressed, CO2 extraction, and steam distillation. Distillation is the most common for the oils I use, and it works very similar to a ‘whiskey still’. When the plant matter or particular part of the plant is in the vat/still with water, the oil of the plant comes out one side, the ‘hydro sol’ comes out the other. The oil is extremely concentrated. The hydro sol or floral water, is water with micro droplets of oil. Both are effective in their own right, applications and benefits vary. Why did I start to use scent/aroma therapy with dogs? The start of The Scent Project ™ . I am a professional trainer and work with dogs with a variety of ages and temperaments. I am integrative in my approach and work with the whole dog; socially, emotionally, physically and nutritionally. I have also been into gardening and all that comes with it since before I can remember, and for certain, long before I started to work with dogs professionally. Essential oils come from plants, plants start growing in the dirt, dirt happens to be the essential starting point in a garden, and that is where I come in! I love playing in the dirt and growing things! My house is almost chemical free in regards to cleansers, cleaners, soaps, and the like. It has been this way for over 25 years. A personal choice, nothing more nothing less. When my son was a baby, I found out he was allergic to what I was eating, via breast milk. I cleaned up our families diet, whole foods only (fruit, vegetable, meat, rice, beans) and went to task and learned a great deal more about anti inflammatory and calming herbs and plants. His body and skin needed this assist, and with my gardening knowledge it was only a matter of hooking up with specialists in the herbal world. In 2008 when I was coaching one of our Relaxing your Reactive Rover classes, I had the idea to start adding essential oils to the class environment. It was a tricky group, all of the dogs had seen or experienced evil, and the owners had lost their confidence in handling their dogs in public. The reason I thought about adding something natural is that at that time, psychotropic drugs were being prescribed like Chiclets for dogs. I was flattened with the amount of drugged out dogs I was seeing, and it was not helping, it was masking what was really going on. And the worst part was that handlers were under the impression that the drugs would ‘cure’ their dog, and they didn’t have to do any work. I had the knowledge, experience, and great intentions with essential oils for my family. With this group of dogs, at first, the scents I used were a bit too strong, they were the blends I had made for my children. The also had emulsifiers, and preservatives which are common in human grade products (they don’t bother us in general). So I cut back and started to use micro droplets, and eliminated the emulsifiers and preservatives. Over the course of six weeks I started to see a change in the dogs and people. In addition to the great work they were doing, everyone was breathing, and breathing deeply and with comfort. Eyes relaxed, body posture soft but still aware, and deep breathing. YAY! Great work started to happen! I started to sell custom blends to my clients. I was super honest that I wasn’t selling a cure or a substitute for doing good work. My aroma blends were made for an assist, to add another layer so to speak. What I found was, clients who used my aroma blends became more intentional, more observant, and chose to do more work. They became self-motivated, and all moving in the right direction. With our products, we went through a year of blending trial and error to come up with just the right scents that were light enough for a dog and still pleasing to the human nose. We found that humans wouldn’t use it if they couldn’t smell it. I think we might be funny that way. We did trials with 50 family pet homes, 2 veterinary offices and two shelters. We did our research! If you create an association with a pleasant calming scent and a good experience, you are creating a memory, a CER, a positive Conditioned Emotional Response. Then you have a tool to use, bring with you, have at home, that can assist you and your dog. If we know our dogs are gathering information with their nose all of the time, it makes good sense to create a scent that can assist with calming, focusing, relaxing. A balanced emotional response, that is a good thing! Thank you for your lovely comments. We love our aroma mists and working with dogs with something that is familiar, plants, aromatic plants. It’s been an awesome ride so far! Another one of your articles for me to share! Good for US and our Dogs! The long and short for me….It just freakin smells WONDERFUL! 🙂 Many of my dogs have benefited from your scents as have I. I keep Calm on my desk at work right now (but used to have Brighten) to help with stressful situations. We love Brighten at home, sometimes use Calm and have sent fosters home with SunUp. Oomph was fabulous for my senior girl Tara before I lost her. Freaking wonderful is a good thing! I think you have been an OOMPH fan for awhile. That scent is our sleeper so to speak. Those that get it, love it. MOre people need to try it. It is currently my office favorite. Thanks for using the lavender … we can all use a bit more calm in our lives~!